Provide for the equitable distribution of benefits resulting from intellectual property among the various parties with interests in it. Throughout this policy, words and phrases shall be deemed to have their customary meanings. Notwithstanding this, and by way of illustration only, the following list of definitions is provided. This list is not intended to be exhaustive. 2.1 COPYRIGHT: is the set of exclusive legal rights, as defined by law, that subsist in relation to an original work of authorship. 2.2 EMPLOYEES: means all full-time and part-time employees of the University, whether faculty members, staff or students. 2.3 FACULTY: means all employees who meet the definition of "faculty members" contained in the most recent version of the University's Faculty Handbook. guided by the intellect of their creators. It includes, but is not limited to, patents, trade secrets, copyrights, mask work rights, trademarks, and rights in tangible research materials. 2.5 MASK WORK RIGHTS: are the exclusive legal rights, as defined by law, that subsist in relation to a mask work fixed in a semiconductor chip product. 2.6 MEDICAL CENTER: includes the schools, clinics, institutes, divisions, or other organization components of the University that are under the administrative authority of the Senior Vice President for Health Sciences of the University. 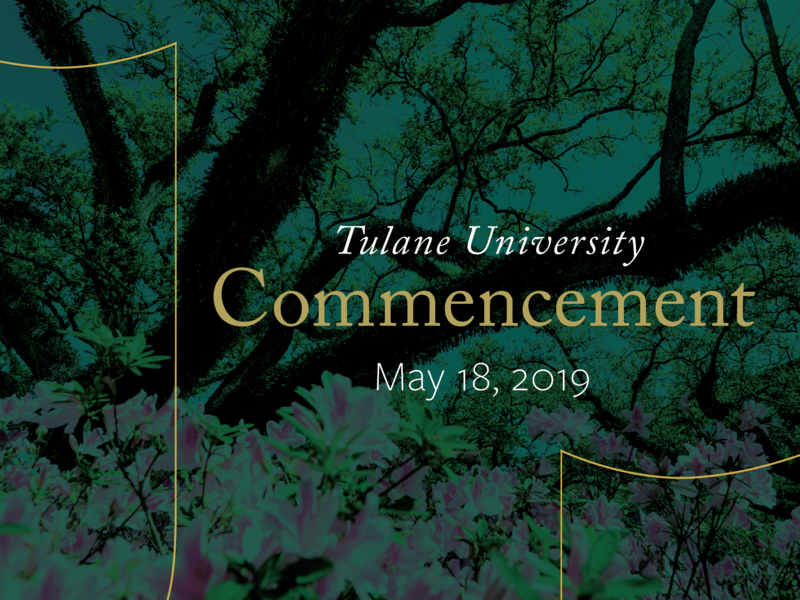 This includes, as examples, the School of Medicine, School of Public Health and Tropical Medicine, Student Health Services on either campus, and the Tulane National Primate Research Center. 2.7 PATENT: means a patent issued by the United States Government or by any foreign government securing to an inventor for a limited time a set of exclusive legal rights in relation to his invention; it includes applications for patents, divisionals, reissued patents, continuations, and continuations-in-part of patents and applications therefor. 2.8 STAFF: means all employees of the University who are not faculty members or students. 2.9 STUDENTS: means all persons enrolled in a course of study, full-time or part-time, in any division of the University, its schools or colleges. A "COVERED STUDENT" means a student to whom this policy applies, as defined by Section 3b. 2.10 TANGIBLE RESEARCH MATERIALS: means tangible items produced in the course of research projects (such as a cell line or a radioimmunoassay), but not any information embodied in such items. It does not include tangible items that embody information as to which the University has no ownership rights, or as to which it waives and releases its ownership rights under Section 6.02. 2.11 TRADE SECRETS: means information, whether patentable or not, and including a formula, pattern, compilation, program, device, method, technique, process or know-how, that is protected by law. 2.12 UNIVERSITY: The Administrators of the Tulane Educational Fund is the corporate entity of the University. "University" shall refer to Tulane University, its component divisions, centers and institutes, or its officers. 2.13 UNIVERSITY FACILITIES: means any facility including funding, equipment, and material, available to a person as a direct result of that person's affiliation with the University, which would not be available to a non-University person on the same basis. 2.14 UNIVERSITY OFFICIAL: means any officer of the University who is designated by the President to perform any task in relation to this policy on behalf of the University. 2.15 UPTOWN CAMPUS: includes all components of the University other than the Medical Center. any person, other than an employee, a student, a Resident, or a Fellow of the University, who is working at the University by virtue of a grant form, or a contract with an outside body, whether governmental or private, subject always to Section 11, below. Upon prior written agreement with the University, this policy may also be applied to persons who do not fall into any of the above categories. This policy, as amended from time to time, shall become a part of the conditions of employment of every employee, and of the conditions of enrollment and attendance of every covered student, whether such employee or student was employed or enrolled, as the case may be, before or after its adoption. This policy shall be applied only to intellectual property coming into existence on or after the date of its adoption. Intellectual property coming into existence prior to the adoption of the revision on April 2, 2001 shall however continue (a) to be subject to any definition of "net income" previously applicable to it, and (b) to be governed by any applicable agreements in force among the University, its personnel, the external sponsors of its research programs, or any two or more of them. In any such case, however, the persons concerned may avail themselves of the benefits of this policy by notification to the Senior Vice President for Health Sciences, the Senior Vice President for Academic Affairs, or their respective designee(s), as appropriate. In general, and without prejudice to any of the specific provisions contained herein, the University, and every person to whom this policy applies, agree that all intellectual property that is created by an employee within the scope of his or her employment, or by a covered student or a Resident or a Fellow within the scope of his or her activities as such, or by any other person who is aided by University facilities or staff, or by funds administered by the University, or is working at the University by virtue of a grant from, or a contract with, an outside body, whether government or private (subject always to Section 11, below), shall be the property of the University. A condition of employment, enrollment, and attendance or support shall be that the ownership rights in every such item of intellectual property shall, where necessary, be assigned by the individual creator to the University in consideration of the University agreeing to share the net income actually received from such property in accordance with Section 9, below, and to deal with such property in accordance with Section 10, below. This assignment shall be made in a manner determined by the University in accordance with this policy. The University shall have no ownership rights in respect of intellectual property that does not fall within the definition given above; however, the creator may, if he or she so desires, offer such intellectual property to the University. If accepted, it shall be treated in the same way, and be subject to the same procedures, as intellectual property owned by the University, unless otherwise agreed upon. Every person to whom this policy applies shall disclose to the University, in accordance with the procedures set out in Section 10.01, below, any intellectual property created by him or her. The area of scientific and technological inventions and discoveries presents, in an especially acute form, many of the difficulties that arise in connection with creative works of all kinds produced by members of the University community. The disproportionate expenditure of common University resources on the research leading to inventions and discoveries, the potential for their significant commercial exploitation, and the frequent involvement of outside governmental and private sponsors who wish to impose conditions to safeguard their own interests, are such that the University has an important interest, academic as well as economic, in coordinating the activities of faculty members and other employees in this area. In recognition of this interest, and of the interests of those conducting scientific research as well as of those who are their departmental colleagues, the University, and every person to whom this policy applies, agrees that the ownership rights to inventions and discoveries shall be dealt with in the manner described below. Every invention or discovery or part thereof that is made by an employee within the scope of his or her employment, or by a covered student or a Resident or a Fellow with the scope of his or her activities as such, or by any other person who is aided by University facilities or staff, or by funds administered by the University, or is working at the University by virtue of a grant from, or a contract with, an outside body, whether governmental or private (subject always to Section 11, below) shall be the property of the University. A condition of employment, enrollment, and attendance or support shall be that the ownership rights in every such invention or discovery shall be assigned by the individual inventor or discoverer to the University in consideration of the University agreeing to share the net income actually received from such invention or discovery in accordance with Section 9, below, and to deal with such invention or discovery in accordance with Section 10, below. This assignment shall be made in a manner determined by the University in accordance with this policy. The University shall have no ownership rights in respect of an invention or discover that does not fall within the definition given above; however, the inventor or discoverer may, if he or she so desires, offer such an invention or discovery to the University. If accepted, it shall be treated in the same way, and be subject to the same procedures, as an invention or discovery owned by the University, unless otherwise agreed upon. The University, where it is free to do so and after consultation with the individual inventor or discoverer, may in its discretion and upon such terms as it deems fit, cause its ownership rights in an invention or discovery to be waived and released to the inventor or discoverer, subject always to its retention of income rights as set out in Section 9.02 below. The University shall, in such a case, execute all documents necessary to enable the individual concerned to undertake protective measures and to make arrangements for the development and commercial exploitation of the invention or discovery. Every person to whom this policy applies shall disclose to the University, in accordance with the procedures set out in Section 10.01, below, every invention or discovery made by him or her. Creative works that are protectable by copyright belong, under the general law, to an employer if they are created by an employee within the scope of his or her employment. In common with universities generally, however, the University does not regard itself as holding ownership rights in respect of books and articles written by faculty members. This tradition rests predominantly upon the view that scholars should have unfettered freedom to communicate with others and to convey information to them, whether in the form of research findings, ideas, opinions, advice, or instruction, for any purpose of their choosing. Therefore, for works created after April 7, 2003 the University, where it is free to do so, shall treat a faculty member as the owner of the copyright in a book or article written by that faculty member, subject to Section 6.02, below. In recent years, the kinds of work that are copyrightable, as well as the number of media in which any copyrightable work can be created, have increased greatly, so as to include, for example, all kinds of video and audio tapes, microfilms, and computer programs. In many cases, a work created in a new medium is the same, in all essentials, as a book or article of the traditional kind, in that its primary concern is communication with others, and appropriately, such a work should be treated in the same way as books and articles have always been treated. But in many other cases, a copyrightable work in a new medium is not primarily concerned with the communication of the information in that work, but is instead primarily utilitarian or functional, such as a computer program that controls the operation of an industrial or commercial process. With respect to this latter kind of work, the considerations that have historically justified the University's refusal to assert its ownership rights do not exist. Such a work is much more closely akin to a scientific or technological invention or discovery, and shall be dealt with by this policy in an analogous manner. is aided by University facilities or staff, or by funds administered by the University, or is working at the University by virtue of a grant from, or a contract with, an outside body, whether governmental or private (subject always to Section 11, below), shall be the property of the University. A condition of employment, enrollment, attendance or support shall be that the ownership rights in every such work shall, where necessary, be assigned by the individual creator to the University in consideration of the University agreeing to share the net income actually received from such work in accordance with Section 9, below, and to deal with such work in accordance with Section 10, below. This assignment shall be made in a manner determined by the University in accordance with this policy. The University shall have no ownership rights in respect of a copyrightable work that does not fall within the definition given above; however, the individual creator may, if he or she so desires, offer such a work to the University. If accepted, it shall be treated in the same way, and be subject to the same procedures, as a work owned by the University, unless otherwise agreed upon. a. The University, in all cases where it is free to do so, acknowledges a faculty member's ownership rights and unconditionally waives and releases any claim that it might have to ownership in respect of any copyrightable work that is concerned primarily with the communication of the scholarly or artistic information in that work, or that is a musical composition or a work of fine art; provided, however, that if the creation of such copyrightable work involves the extraordinary use of University resources or facilities, the University shall have (1) a non-exclusive, royalty-free license to use, reproduce, exploit, and distribute the work by any means, including electronic media, in connection with its research and teaching activities, (2) the same right to income as that in section 9.02, below, and (3) any other rights as may be agreed with the author. b. The University may, where it is free to do so and after consultation with the individual creator, entirely in its discretion and upon such terms as it deems fit, cause its ownership rights in respect of any other kind of copyrightable work to be waived and released to the individual creator, subject always to its retention of income rights, as set out in Section 9.02, below. In particular, the University may, as a condition of the release of its ownership rights, require the grant to it of a non-exclusive, royalty-free license to use the work in connection with its research and teaching activities. c. The University shall, in every case in which it waives and releases its ownership rights in a copyrightable work, execute all documents necessary to enable the individual creator to undertake protective measures and to make arrangements for the development and exploitation of the work. the medium in which it has been created. All tangible research materials that are produced in the course of research carried on at, by, or with the support of the University, shall be (subject always to Section 11, below) the property of the University. All such tangible research materials shall be disclosed to the University in a manner analogous to the procedure set out in Section 10.01, below. Trademarks, service marks, trade names or other identifiers relating to the University, its activities and its products, and whether registered or unregistered, shall be the exclusive property of the University. No steps may be taken to secure any of them to any other person, whether by use or registration, without the approval of a University officer. The income derived from all intellectual property created by persons to whom this policy applies shall be distributed in the manner set out below. This distribution gives due recognition to the creative contributions of the individuals concerned, to the claims of their closest academic colleagues, and to the interests of the wider University community by which they have been nurtured and supported. a. In every case in which the University does not waive and release its ownership rights to intellectual property, it shall share the net income actually received by it from such property equally with the individual creator of that property. The creator, or the estate of the creator, shall continue to be entitled to this one-half share, notwithstanding his or her death or the termination of his or her employment at Tulane. b. Net income from a particular intellectual property is defined as gross income proceeds from that intellectual property less allowable deductions. Gross proceeds from intellectual property means gross royalties, licensing fees or similar payments actually received from the sale, assignment, licensing or other exploitation of the intellectual property concerned, including equity participation in a company, but excluding research funding specifically earmarked for the furtherance of research activities or research programs at the University. Allowable deductions comprise: 1) all direct expenditures made for the purpose of protecting or exploiting that property, and 2) 15% of remaining gross proceeds from intellectual property, after deduction of 1), above, for the support of the Office of Technology Development. iii. to support a seed research fund under the direction of the Committee on Research. d. The University's one-half share shall be distributed to the uptown campus or to the Medical Center, depending on where the individual creator of the intellectual property has his or her appointment and/or employment, and the distribution shall be dedicated in the manner set out below. If the individual creator has an appointment and/or is employed at both campuses, the University's share shall be distributed between the two campuses in proportion to their respective contributions to the individual creator's salary, and the distributions shall be dedicated in the manner set out below. If the intellectual property concerned has been jointly created by individuals appointed and/or employed at different campuses, the University's share shall be distributed between the two campuses in the same proportion as the one-half share of the joint creators, as set forth in a revenue sharing agreement to which the University and each of the joint creators shall be party, and the distribution shall be dedicated in the manner set out below. i. Seventy percent of each distribution to a campus shall be retained by that campus or by such appropriate sub-unit of that campus as is established under any decentralized management center adopted at that campus, unrestricted as to use. ii. The balance (thirty percent) of each distribution to a campus shall be made available to the department, section, or research activities of the individual creator or creators appointed and/or employed on that campus or on that subunit, as the case may be, according to their particular needs and circumstances as determined by the Senior Vice President for Academic Affairs and/or the Senior Vice President for Health Sciences in consultation with the individual creator(s) and the appropriate dean(s) or director(s). a. The University shall not be entitled to any share of the first $10,000 of net income (as defined in Section 9.01 above) derived from the creator's share of the released property. b. The University shall be entitled to fifteen percent of all net income in excess of $10,000 derived from the creator's share of the released property. The University's share of the net income from released intellectual property shall be distributed to the two campuses in the same way as its share of the net income from intellectual property that has not been released, as set out in Section 9.01(d) above. Each such distribution to a campus shall be retained by that campus, unrestricted as to use. a. Assist in the identification of protectable intellectual property. b. Coordinate the process of seeking appropriate protection of intellectual property, and assist faculty and staff in this regard. c. Respect the interests of the individual creator of intellectual property, and ensure that he or she shall be a working partner in the process of obtaining protection, and carrying out the exploitation or development of the intellectual property. a. Every person to whom this policy applies shall (as required by Sections 5.03 and 6.03 above) report promptly to the Office of Technology Development any invention, discovery or other creative work made by him or her that is subject to the obligation of disclosure. This disclosure shall be made on confidential disclosure forms, which are available upon request. If additional information is required, the Office of Technology Development shall so notify the individual creator, and shall specify the type of information it requires. Upon the receipt of sufficient information, or upon the expiration of ninety (90) days from the date of an inquiry as to sufficiency by the creator to which there has been no response by the Office of Technology Development, whichever is earlier, the disclosure shall be deemed complete. b. The Office of Technology Development shall notify the individual creator whether it wishes to retain the intellectual property in the disclosure or whether the University is obliged (under Section 6.02(a), above) or voluntarily wishes (under Sections 5.02 and 6.02(b), above), to waive and release its ownership rights. Such notification may be demanded by the individual creator at any time after the receipt of a complete disclosure, and if so demanded, shall be given no later than ninety (90) days after the making of the demand. The University shall, in respect of intellectual property owned and retained by it, take all appropriate and reasonable measures to protect the property and exploit or otherwise develop it, and shall, upon request provide the individual creator with a written report describing the measures it has taken. In the event that the University decides subsequently not to take such measures, and to abandon the property, it shall notify the individual creator promptly of its decision. In respect of intellectual property not owned by the University, or owned by it but not retained by it, or owned and retained but subsequently abandoned by it, the University may assist the individual creator in taking, at his or her own expense, the measures necessary for the protection, exploitation and development of the property. Any disputes arising under this policy, between the University and any person to whom this policy applies, shall in the first instance be referred to, and considered by, the Senior Vice President for Academic Affairs or the Senior Vice President for Health Sciences, or their respective designee(s), as appropriate. If the dispute is not resolved thereby, it shall be referred to, and considered by, the Senate Subcommittee on Patents, which shall report its findings and recommendations to the President or the President's designee. Nothing in this policy shall affect the validity or operation of any grant or sponsored research and/or publication agreement between an outside body (whether governmental or private) on the one hand, and the University, or any person to whom this policy applies, on the other. In particular, this policy shall not in any way affect any provisions in such a grant or agreement relating to the ownership, control, and administration of intellectual property resulting from the performance of the grant or agreement.